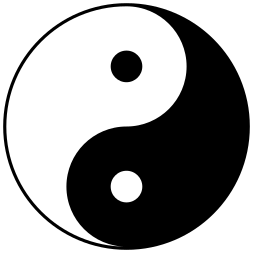 As a starting point, most people are familiar with the Taijitu symbol, usually referred to as the Yin Yang symbol. In Chinese philosophy, yin is normally associated with the colour black and is connected with stillness, receptivity and passivity, whilst yang is white and represents movement, creativity and activity. These cosmic forces are both part of a whole, something reflected in their original etymologically translations from the Chinese as “shady side of the mountain” and “sunny side of the mountain”. They are still one mountain. Within each is the seed of the other. When yin develops to an extreme yang emerges and likewise when yang over extends yin comes forth. This makes sense. Life is not usually experienced in the extremes, it shifts between these two polar points. The only thing that remains consistent is change – and the spiralling force that drives this change is called Taiji. Now let’s look at the Gua and how these relate to another divinatory wonder, the I Ching (Classic of Changes). 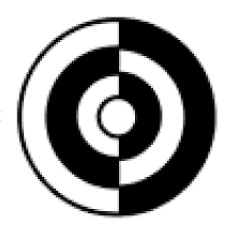 The Gua are a series of lines, either in a set of three (trigram) or six (hexagram). The lines are either broken, representing yin or unbroken, being yang. There are eight trigrams which can be combined with other trigrams to form the 64 hexagrams. 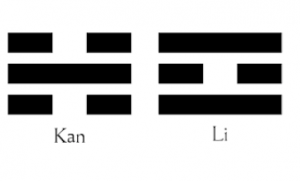 It is these 64 hexagrams that are the basis of the I Ching, the profoundly influential Chinese classical text that is over 2,500 years old. A form of cleromancy is used to generate numbers, commonly either through yarrow stalks or coins, which are used to determine the type of line generated, building up until you have six lines, the hexagram. The I Ching is then referred to, to call upon its ancient advice. The Gua trigrams that are of interest here though are those connected to the Sun – Li, the trigram of Fire – and the Moon – Kan, the trigram of Water. The Sun and Fire connections are obvious, whilst the Moon’s pull upon Earth’s water creates the tides and has long had a symbolic connection. What these two Gua share is that they are only ones out of the eight with an even distribution of yin and yang. This is easiest understood if you see yin as having a negative charge and yang as having a positive one and the movement between the two like a wave. Li starts positive (yang) dips negative (yin) then goes back to yang, positive. Repeat this and you have a wave. It is the same for Kan, except it goes negative, positive, negative. Again, repeat it and it forms a wave. The only difference is whether they start in yin or yang. 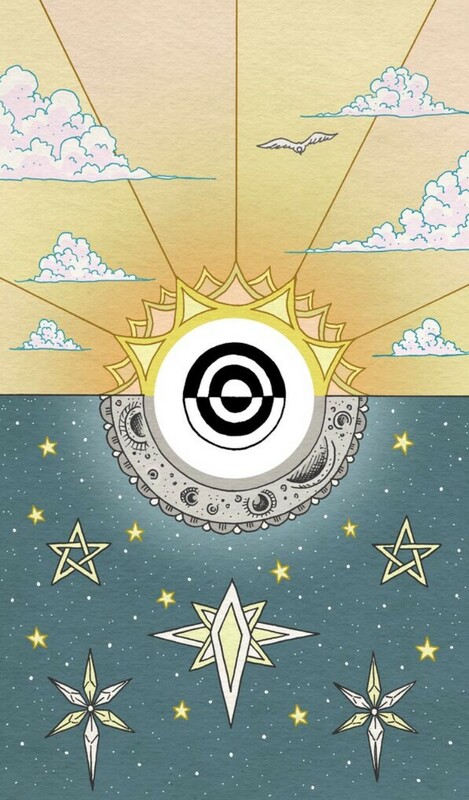 For the purposes of The Luna Sol Tarot, Li and Kan have been rotated to align them with the Sun and Moon. There is more, much more, that could be written here, but as this is already a fairly dense introduction, I’m sure I have said enough. The backs of tarot cards have often been a place to express the over-arching theme of a deck. A place for reflection, tuning into the cards and further inspiration. Hopefully the reverse of The Luna Sol Tarot will help you find harmony and balance within this wonderful deck. We’d love to hear what you think! Be sure to leave a comment or talk to us on Instagram, Twitter and Facebook. Next Post Liminal 11’s launch party!